Tags: evil eye, Mosaic, pendant necklace, rose gold, starburst, Teardrop. 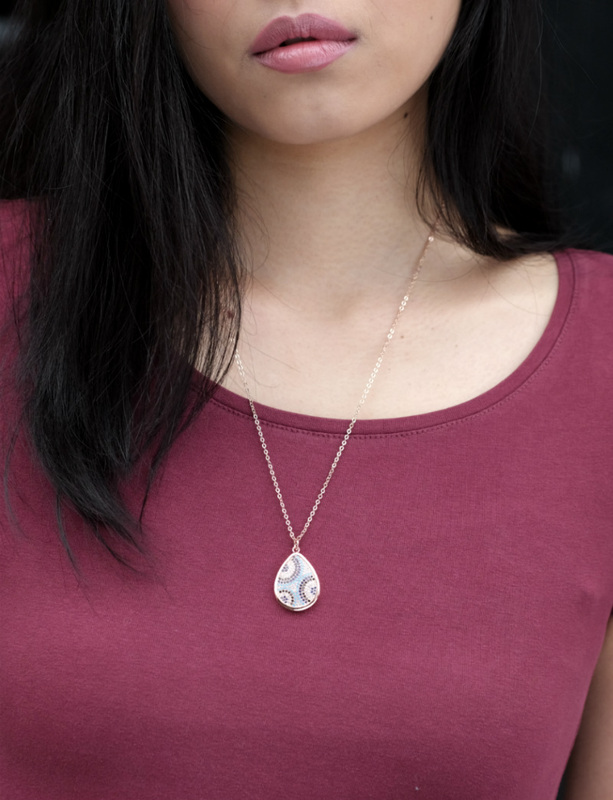 Introducing our Mosaic Collection pendant necklaces. Depending on one’s visual interpretation, colorful blue hued cubic zircon dotted across each pendant, can either evoke an evil eye design to protect its wearer, or the colorful circular pattern emulates a summery blue and white tile motif, giving off a Mediterranean vibe. No matter the interpretation, these little gems add a pop of color and flair across your neckline and pairs well with summery tops and blouses. 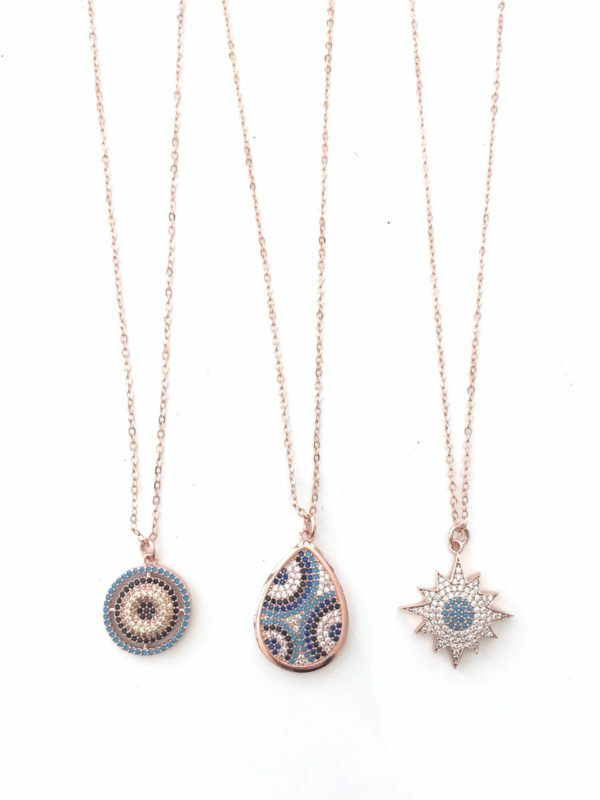 Our Mosaic pendent necklaces comes in three shapes: teardrop, round, or starburst. Each necklace comes on a rose gold plated chain, with lobster clasp and extender.